On your walk between King Tomislav square and Zrinjevac park, you might stumble upon the curious monument of Josip Juraj Strossmayer in the dead center of a park hidden among the trees. 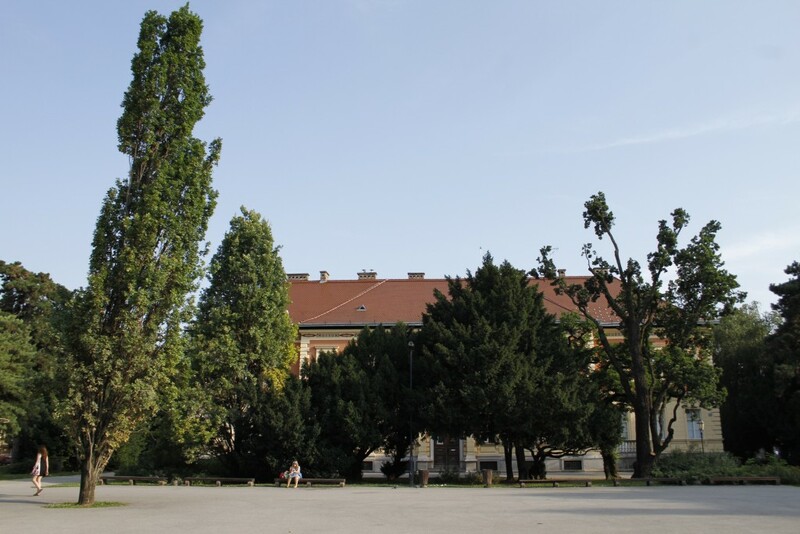 You’ve just discovered one of the nicest and most underrated squares in Zagreb, bearing the name of this prolific bishop that gazes upon you from his statue with a firm look. Josip Juraj Strossmayer was a Roman Catholic bishop, Croatian politician and benefactor born in Osijek in 1815. Even thought he was a supporter of the Habsburg Monarchy, he nevertheless strove to obtain more rights for the Slavs within the Monarchy. 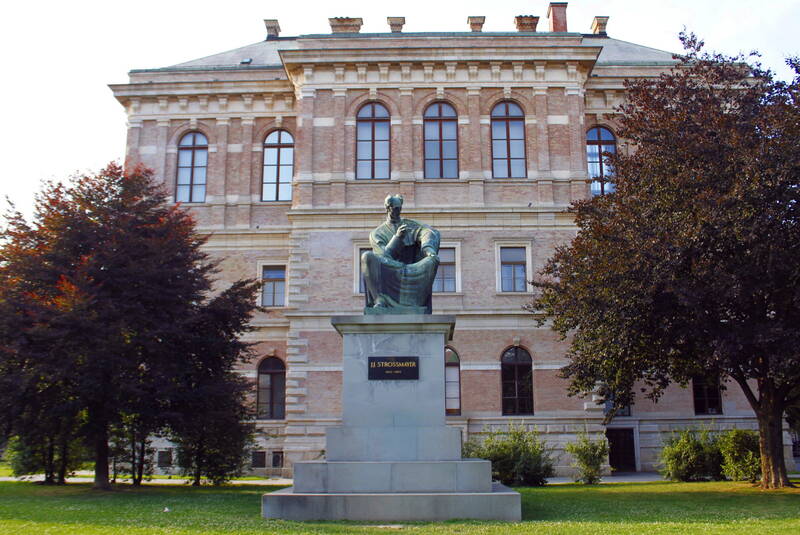 He advocated federalization, merging of all Croatian lands under the Kingdom of Hungary, as well as the introduction of Croatian language into public administration and schools. The bishop Josip Juraj Strossmayer had one of the leading roles in the cultural life of the country, in founding of the Yugoslav Academy of Sciences and Arts (today called Croatian Academy of Sciences and Arts, HAZU for short) and in the re-establishment of the University of Zagreb. 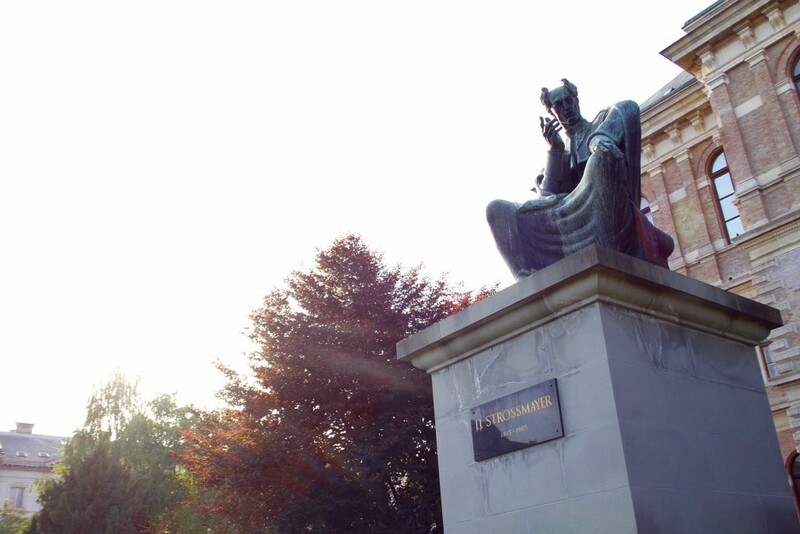 The Academy palace, built in neo-renaissance style in 1880. towers behind the statue. Through his Catholic diplomacy, Strossmayer advocated the union of all South Slavic peoples and promoted religious unification. In 1849, the emperor Franz Joseph proclaimed him bishop of Bosnia and Syrmia with seat in Đakovo. He oversaw building of the Cathedral of St. Peter and St. Paul in Đakovo, which is the greatest object made by Strossmayer during his 55 years as a bishop. 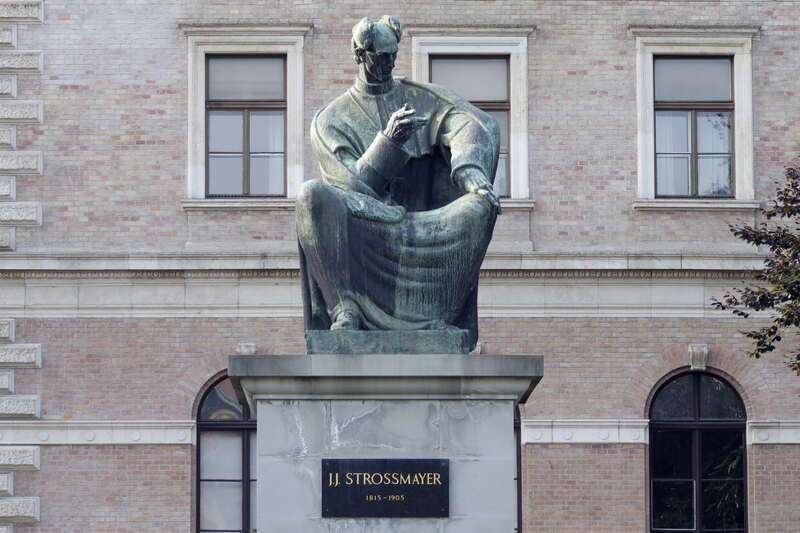 The Strossmayer Square as a whole can give you a glimpse the 19th century if you look carefully. All around the square there are beautiful palaces built at that time. 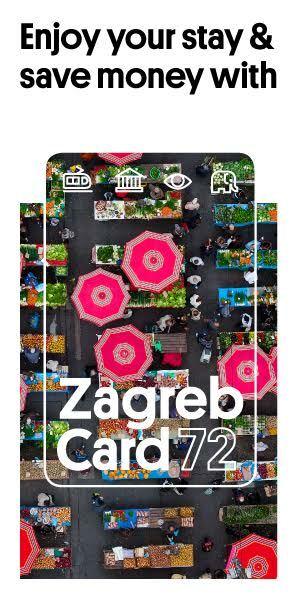 And it was an important square in that moment of history – everyone who wanted to consider themselves important just had to have a house in this very part of Zagreb. During the 1990’s the square was all but forgotten in the public mind, stuck between the two aforementioned, more visible parks. Last year saw a revitalization of that space with different festivals and events being organized there, and locals rediscovering the beautiful park that laid dormant for too long a time. Strossmayer Square is the second stop in the famous Lenuci‘s horseshoe.